Sir Alex Ferguson has revealed Wayne Rooney wants to quit Manchester United. The Old Trafford boss admitted he was "shocked" and "disappointed" to hear the news but said he had not fallen out with the 24-year-old England striker. "We are as bemused as anyone can be, we can't quite understand why he would want to leave," said the Scot. 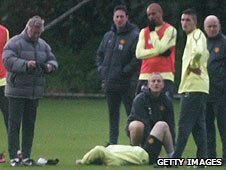 Ferguson said the "door is still open" for Rooney, who will miss Wednesday's Champions League game with Bursaspor after being carried off in training. The forward suffered minor ankle damage at the end of the session and will sit out the European tie at Old Trafford. Rooney's future has been the subject of intense speculation over the last few days following reports that he was not prepared to sign a new contract. His current deal is due to finish at the end of the 2011/12 campaign. If he does leave then Everton would be in line to scoop a small fortune. The Toffees have a sell-on clause in Rooney's contract which states that they would get 25% of any excess sum over the £27m United eventually paid for the striker. 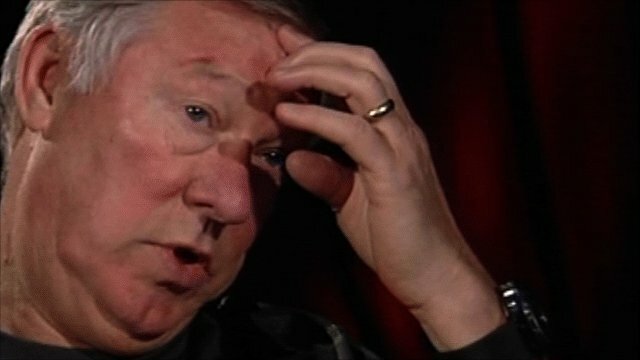 In an interview with MUTV filmed before he spoke to the media, Ferguson said United chief executive David Gill had told him about Rooney's decision not to sign a new contract back in the summer. "I was in the office on 14 August and David phoned me to say he [Rooney] wasn't signing a contract," confirmed Ferguson. "I was dumbfounded. Only months before he was saying he was at the greatest club in the world." Having learned of Rooney's desire to go, Ferguson requested to speak to the player. "Dealing with the next step was always going to be decisive for us, how we dealt with the situation," he said. "I asked to have a meeting with the boy and he reiterated what his agent said, that he wanted to go. "The one thing I said to him was 'respect this club, I don't want any nonsense from you'. "I don't know if he has done that. I have doubts on that, we are reading all these things about falling out with me and all that nonsense. "It's disappointing because we have done everything we possibly can to help Wayne Rooney ever since he came to the club. "We have always been here as a harbour for him any time he has been in trouble, the advice we have given him. I was even prepared to give him financial advice. "But it's not just Wayne Rooney, we have done that for all the players. 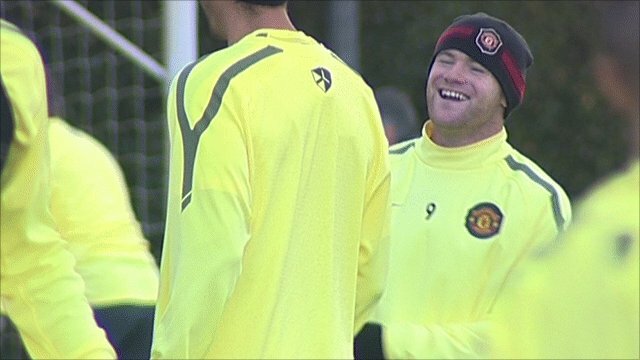 Wayne has been the beneficiary of that, just as Ryan Giggs, Paul Scholes have... so there has been no falling out. "So there we are, we have got into a situation where we had to clarify this for our fans because what we saw on Saturday was unacceptable. "When we got to 2-2 [against West Brom] and they were chanting Wayne Rooney, it's a pressure on the players and didn't do the team any good so we had to clarify the situation and put it right." Rooney's decision has clearly had a big impact on Ferguson, who signed the player from Everton in August 2004. United paid the Toffees an initial £25.6m for the 18-year-old, a world record fee for a player aged under 20. "We've done nothing but help him since he's been at this club," said Ferguson, who has not given up hope of Rooney remaining at Old Trafford. "We cannot quite understand why he would want to leave. No-one can deny this club is one of the most successful in British football. 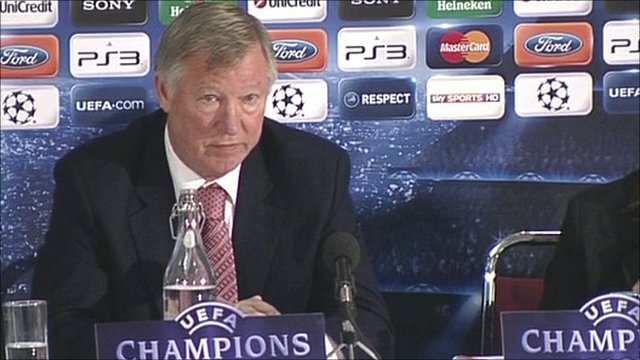 "We have won 40 major trophies, countless cup finals, have a fantastic history, a great stadium, great training arrangements. "We don't understand it. I can't answer any questions about why he is doing it. We can speculate. We can have opinions. It won't matter a dickie-bird, simply because the player is adamant he wants to leave." However, Ferguson added: "I feel that we still have to keep the door open for him, especially as he's such a good player." Rooney has been a key figure for United, helping them to win the Premier League in 2007, 2008 and 2009 as well as the coveted Champions League in 2008. He enjoyed a stellar 2009-10 season, scoring 34 goals for his club, although he did not find the net after injuring his ankle in a Champions League game against Bayern Munich in March. He endured a poor World Cup in South Africa in the summer, failing to find the net in four games, before being hit by a wave of lurid allegations about his private life at the start of the new season. Consequently, Rooney was dropped for United's Premier League fixture against his old club Everton in September as well as subsequent fixtures, with Ferguson claiming the striker had an ankle injury. However, last Tuesday, after England's 0-0 draw against Montenegro in a Euro 2010 qualifier at Wembley, Rooney contradicted the Scot's statement and insisted he was fit and had not had an ankle problem. What now for Rooney and Man Utd?